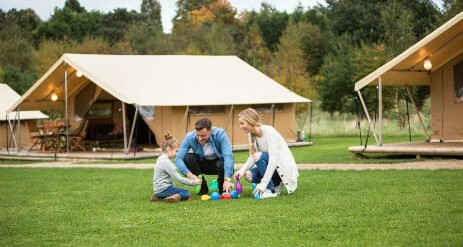 The best in glamping, our tents at Cambridge Ready Camp in Cambridgeshire offer a wonderful balance between contemporary and outdoor living. Glamping at Cambridge Ready Camp Campsite takes the strain out of camping with furnished tents, proper beds, dining area and more. 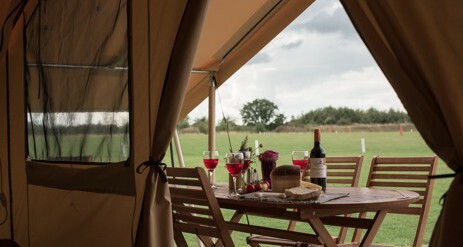 Go glamping in Cambridge and enjoy the rich heritage and glorious fens of this magnificent corner of England. 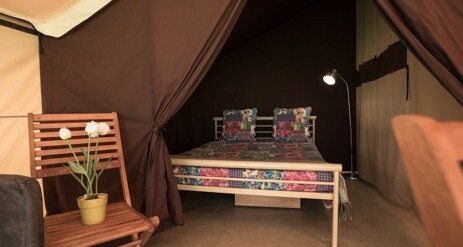 Our glamping campsite is quiet and peaceful, located just a miles from the city famous for it’s university. 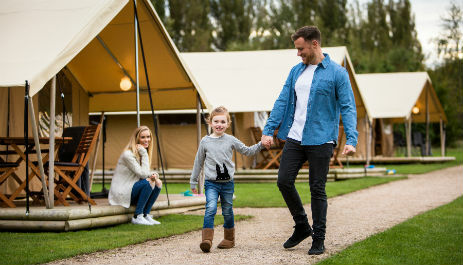 The campsite at Great Shelford is spacious and sheltered by mature tree lined borders, with rolling landscapes and patchwork farmland, spinneys and woodlands. 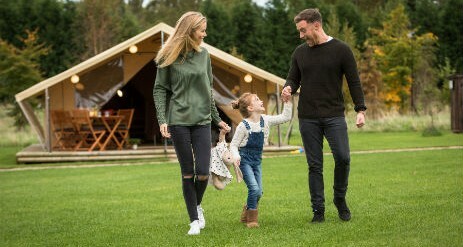 The glamping campsite includes with toilets, showers, washing-up and laundry amenities, a children’s playground and an on-site holiday manager. Cambridge will be much more than a city break, famous for it’s fens it’s a must visit for ramblers, walkers and cyclists. Explore the flat terrain with winding footpaths and nature trails which criss cross the picturesque county. The area is also great for horse riding so ask at reception for local trekking centres. About half an hours drive of Cambridge is the beautiful pocket city of Ely. Take in the magnificent 12th century cathedral and perhaps a guided tour to the Octagon and Lantern Towers. You will find that the views from the top are well worth the climb. Pay a visit to Oliver Cromwell’s House, wander around the Stained Glass Museum, uncover the city’s prehistoric history at Ely Museum or take a stroll along the banks of the River Great Ouse. Other must sees include the riverside towns of St Neots and St Ives and Newmarket for an afternoon of horse racing, Also explore the National Trust’s Wimpole Hall and Anglesey Abbey, the Imperial War Museum, Denny Abbey and Farmland Museum.